As a working mom, I am proud of many things but one of the top three is that we have a home cooked meal for dinner at least five nights a week. Usually by Friday, I am spent and take out seems like a fantastic option but since I have the ability to spend Sunday's prepping for the upcoming week - things usually work out okay. Add the first 4 ingredients into a bowl and mix well, but don't over handle, and make into mini meatballs. I was able to make 14. Bake between 20 and 25 minutes. Meanwhile slice mozzarella into thin slices and place buns on another cookie sheet. Once the meatballs are done, place 3 in each bun and top with cheese. Broil for about 5 minutes or until cheese melts to your liking. Once out of the oven, top with sauce and serve! 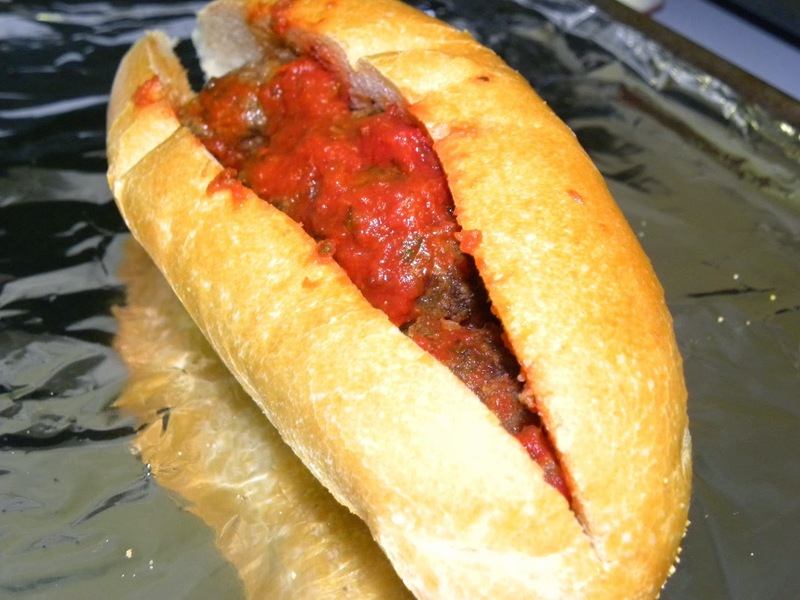 What I like about adding the sauce last is the bun doesn't become soggy and the flavor of the meatballs isn't lost. This meal can also, easily be made ahead, frozen, or adjusted to meet the needs of your eaters.